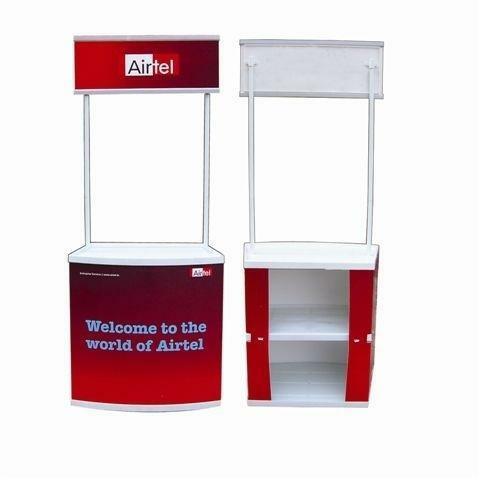 Backed by a team of qualified professionals, we are able to offer our clients excellent services for designing of Promotion Table. Under this, we design promotional counters for the clients bearing the logo and punchlines of the company. Owing to quality and reliability, our services are widely demanded by the clients. We also render these folding promotional counters in varied sizes and specifications, which can also be customized as per the requirements of the customers.